Our team focuses on helping you use unique mortgage strategies and programs to increase your savings and reduce your debt. Unlike most mortgage related websites we DO NOT sell your information to multiple companies. Our goal is to provide personal and experienced service from mortgage specialists with more than 10 years of experience. This is a significant benefit versus speaking to a call center or lead generator selling your information to multiple companies. Analyze each individuals needs and goals. Provide prospective customers objective Situational Analysis', based on their individual needs. Educate, Encourage, and Empower homeowners, and potential homeowners to meet their financial goals. Become the trusted advisor for everyone we come in contact with, focused on our long term relationship - not just a One Time Sale. Our corporate culture was built around Integrity, Reliability and Credibility, which are rare attributes in the mortgage industry. We are proud to have helped consumers across the United States for over 25 years. Our expert client services capabilities, coupled with our ability to offer sound, educational advice has resulted in a 90% client retention rate. The ArcLoan Mortgage Management Program was created in 1993 by Joseph Kelly. 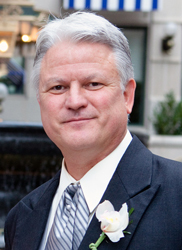 Mr. Kelly has a unique blend of technical, marketing, sales and leadership experience. As a graduate of the University of Virginia with a degree in Aerospace Engineering (yes….a rocket scientist), he realized that the mortgage industry was lacking a critical component – consumer education. From 1991 to 1996, he was ranked among the top 1% of loan officers in the United States. He has also managed a nationally based mortgage business model since 1998 focused on exceptional service and education. In 2007, Mr. Kelly joined a national, ethical, pro-consumer mortgage company.